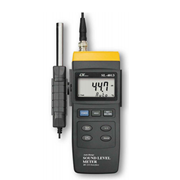 The RS232 thermometer has a Pt100 sensor and outputs the temperature measurements as RS232 signals. 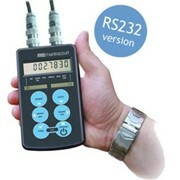 The RS232 is meant to be incorporated into another system, for example, in trucks, where these signals can be sent through GPRS or other, to record and keep track of remote fridges. 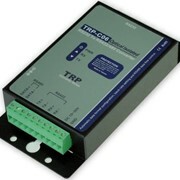 The new RS232 thermometer, although housed in a datalogger casing, does not log the data. 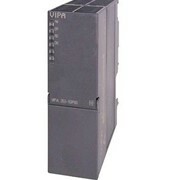 Instead, it has an RS232 output that will work with a large range of RS232 equipment such as USB to serial converters, RS232 to IP servers and laptop serial ports. 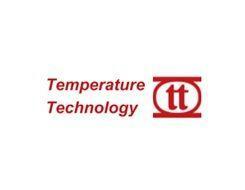 This temperature thermometer is designed especially for RS232 outputs. The device is in a sturdy casing with size 64 × 30 × 105mm. 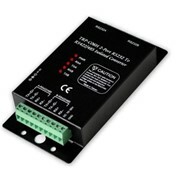 It has a built-in battery to secure a reliable power supply independent of the RS232 connections.